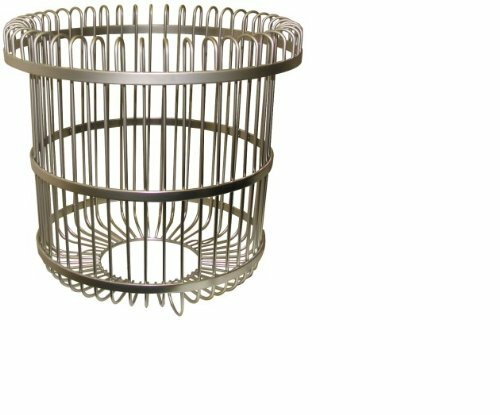 Wire Free-Standing Waste Basket/Trash Bin. Over all size: 13" Diameter x 16. 25 Height; with a receptical size of 10. 5" diameter x 15. 5" High. Made from Polished Chrome covered welded stainless steel. Waterworks Manchester Drop In Oval Vitreous China Bathroom Sink in Cool White 20 1/2" x 17" x 8 1/4"